There are quite a few Lawton, OK, tax preparation services, but if you are looking for one that is dedicated to client satisfaction, it is time to call Furrh And Associates. Our highly experienced team of tax preparers provide a quick turnaround when it comes to filing your taxes. Whether you are self-employed or work for a large corporation, you can benefit from our skilled tax preparation services. 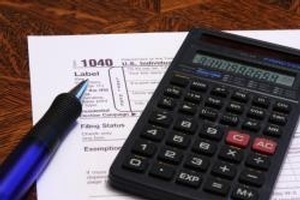 Preparing and filing your own taxes can be stressful and time consuming. Why struggle to understand all those convoluted and confusing rules when we can prepare your taxes for you? When you work with Furrh And Associates, you will benefit from our detailed and up-to-the-minute knowledge of the tax code. We will carefully scrutinize your financial records to ensure that you will not miss out on any valid deductions. And we will do this without increasing your risk of being audited. Our dedicated and competent team of tax preparers provide has the skills, knowledge, and tools to do your taxes in a timely and efficient manner.If you need a quick response from a Lawton, OK, tax preparation firm, Furrh And Associates is the one for you. We offer telephone consultations and provide year-around service to our valued clients. Call now to schedule an appointment with one of our accountants.